Cardi B flaunted her taut tummy while clad in little more than a black bra for a bathroom mirror selfie on Martin Luther King Jr. Day. The seven-time Grammy nominee then proceeded to 'wash and detangle all' her voluminous natural locks. 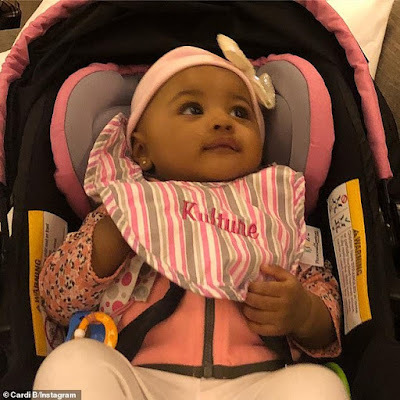 It's hard to believe Cardi (born Belcalis Almánzar) only welcomed her daughter Kulture Kiari Cephus with husband Offset six months ago.